Sharon Erdrich is one of New Zealand’s leading natural healthcare professionals. 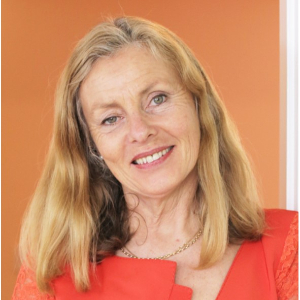 With over 30 years experience, she offers health and nutritional expertise to students of nutrition and naturopathy, health professionals and to private clients. Her wide range of experience means she is well place to support you to achieve your health goals. She also developed a collection of recipes for promoting dietary change for men with prostate cancer, which is available as a free resource from the University of Auckland’s website. Through nutrition and herbal medicine, I help men, women and families struggling with a wide range of health conditions including digestive disorders. By identifying and correcting the underlying root cause of these issues, your body receives the support it needs to heal naturally. Each therapist and modality has their own particular strength and by working together, the therapists provide an integrated and holistic approach to health care, offering solutions using both innovative and traditional therapies. An appointment with one of our expert therapists is just a phone call or a click of your mouse away. Alternatively you can email us with an outline of your health problem and we will recommend a consultant for you. You can also give the gift of health – treat your family or friends with a gift voucher!